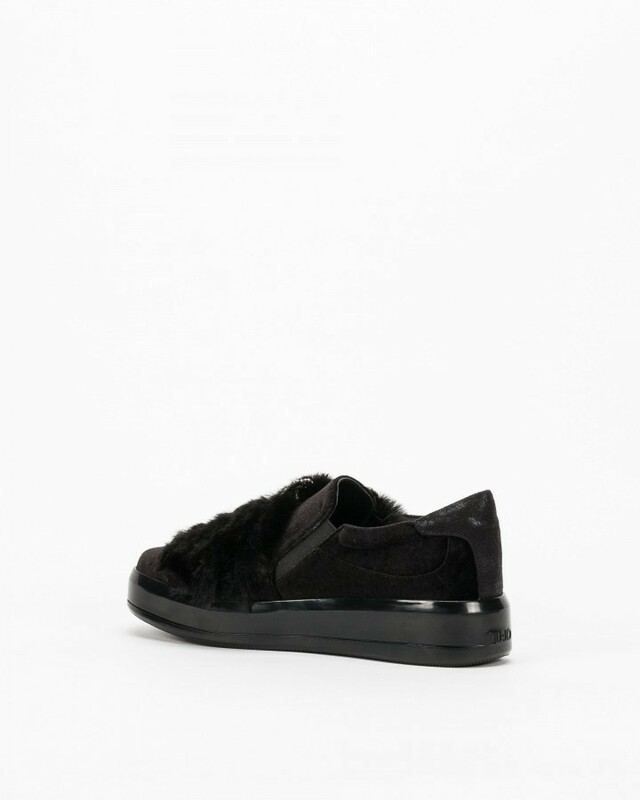 Italian brand Liu-Jo Kim 03 slip on sporty shoes for women in black fabric with a velvet touch. Leather insole and rubber sole with 4 cm in the back. Non removable fur and cristals detail.